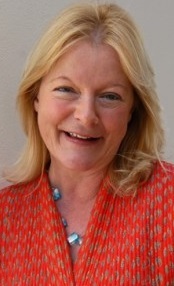 Felicity Warner is the founder of The Hospice of the Heart Trust, a UK charity that promotes holistic, compassionate and de-medicalised approaches to end of life care. A writer and broadcaster for 25 years she is regarded as an expert in communication all aspects of death and dying. She also runs "soul midwifery" courses for those wishing to be able to train in her methods. Gosh, that’s such a difficult one to answer…. My work as a Soul Midwife is what I hope I do best. I’m there for people facing the end of life and offering humility and love and compassion. At the bedside I hope to be the best and most loving and dedicated person that I can be. I love teaching, healing, writing, and being creative too, but subtle energy work is at the heart of this. I’ve been able to see energy since I was a child- it’s gift that is also a curse at times. When you see energy you are constantly bombarded with a lot of information such as being able to see illness within people, past lives etc which can be very challenging. I have lots of energy and I love people , and I have quite a quirky sense of humour. I suppose the best version of my self appears when I am centered and truly present. If I can achieve this, everything else follows. As my work can be very challenging and intense, staying in balance with a sense of humour in tact is vital. I spend as much time as possible in nature. I go hill walking, go wild swimming and ride horses when ever I can. I love all animals. I also love to work with plants in my straw - bale apothecary which is situated in an orchard on our land. We live very simply ( friends laugh at my old rusty car which is 21 years young) and I feel very blessed. My personal goals are to help bring an awareness of love and compassion to everyone and everything. I’m afraid this might sound a bit fluffy but actually it’s a real discipline to hold love and tenderness as a focus for living, but it’s essential. Human beings are hard- wired to care for each other, but it’s a quality that can get buried underneath our busy lives. Workwise I hope that the Soul Midwives movement –(holistic and spiritual companions to the dying) which I began around 15 years ago, continues to grow and that Soul Midwifery practice becomes standard within hospitals and hospices and through out the community. When I started Soul Midwives, I never thought it would become as big as it has. It’s all about helping when medicine has reached its limits, by offering tender loving care for people at the end of life. Another aspect of my work is blending and using aromatic oils for healing. I’m excited also because this autumn, my next book -Healing Soul and Spirit with Sacred Oils- will be published by Hay House. It explains my inner work as a Myrrhophore-( a woman who offers Myrrh). It’s an esoteric healing tradition dating back to the temples of ancient Egypt. Mary Magdalene was a Myrrhophore. The sacred oils bring healing to us at a very deep level. It’s been a mountain of work, but so worthwhile.. we now have over 800 now in all corners of the globe. I run the Soul Midwives School here in Dorset in the UK. It’s a beautiful setting and I teach many aspects of death care including massage, visulation, vigiling and also working with sacred oils. I don’t know if this is a measure of success, but I have realized that that when I die, SM’s is now established enough for it to carry on. Many young people, both men and women complete the training and taking out to their own communities. I’m also happy to have written my books - A Safe Journey Home, Soul Midwives Handbook and my new book- Sacred Oils- Healing Spirit and Soul and being awarded a fellowship at the University of Winchester was a proud day. Last year I was also astonished to win two national awards for my work and was nominated an Inspirational Woman of the Year by the Daily Mail at a big gala event. I’m quite shy, so being back home after all that peeling potatoes for supper, was just heaven. Making a happy home brings me joy. Being married for 38 years to Richard and raising two daughters children and being a granny makes me smile. Again this is difficult, but, giving up my well paid day job 20 years ago to begin voluntary work with the dying was a big decision. . Everyone thought I was mad but having supported six young women who had breast cancer, I knew it was the only thing that I wanted to do. I had found my calling. It was an exciting but also lonely time, but I have never regretted it. I feel very blessed to do work that I am really passionate about. My most challenging moments are walking into a room where there is some one dying. Even though I have done it hundreds of times, it still brings me into a state of humble anticipation and hoping that I can soothe them. It has to be “and all will be well and all manner of things will be well”- it’s a 15th century quote from the Christian mystic Julian of Norwich. For It’s a way of knowing that although bad things might happen, within the grand picture, it’s all going to work out OK. I probably say this to myself 10 times a day ! I’ve always been inspired by others- Lucy Boston a wonderful children’s writer , Dame Cecily Saunders who founded the hospice movement , J S Bach, Sir John Taverner the composer whom I was privileged to know, Ghandi and of course all the Soul Midwives I work with, they are like family to me. Being a Piscean I love water in all forms. So you’ll find me in ( or bedside) wild rivers and streams and oceans anywhere. I’m very affected by the energy of water and like a golden retriever dog I just have to jump straight in. I have a black opal ring that belonged to my Australian great grand mother- she found the stone, on a walk and had in broken open. It’s full of flashing emerald greens and blues and has very high energy. A lucky £5 note, the last present my grand mother gave me before she died , two jay’s feathers, various essential oils. My favourites are Elemi, Fragonia and Blue Fir. Working with little known aromatic oils is a lifelong passion. As medicines for the soul, they are both gentle and powerful. They work with us at such a subtle level, but very powerfully. They can bring about deep healing and enable us to be the most magnificent cosmic beings…they completely amaze me with their potential. Apart from that ,it has to be horses. I took up riding last year and they have taught me so much. They have taught me more about being in my body more than anything else. Horses are great energy teachers and “read” you head to toe . Being around them is extremely grounding. Also music.. I like every thing from Baroque, Jazz to James Taylor and dance around my kitchen to Irish folk music many evenings while we cook supper.